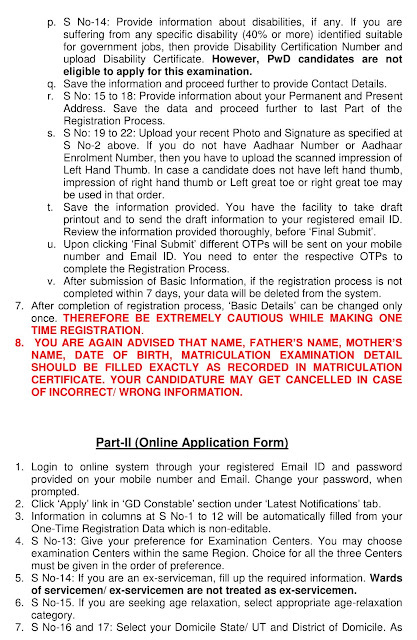 It has come to the notice of the Commission that, in a few cases, the information filled by the candidates under ‘Contact Details’, comprising Permanent and Present Address and under ‘Other Details’ comprising Photo, Signature and Left Hand Thumb Impression (LTI) in the One-Time Registration Form have not been properly reflected in the online Applications submitted by them for the above said examination. 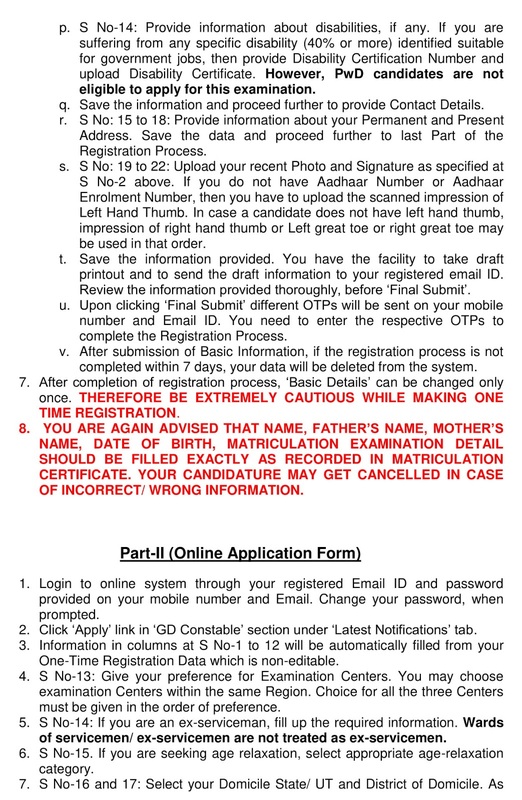 Keeping the above in view, the registered candidates of the aforesaid Examination are advised to check the information in their online application form and in case of any discrepancy either in the ‘Contact Details’ or in ‘Other Details’ ONLY the same may be corrected by them from 11-10-2018 to 18-10-2018 by logging in to https://ssc.nic.in -> ‘Modify Registration’. 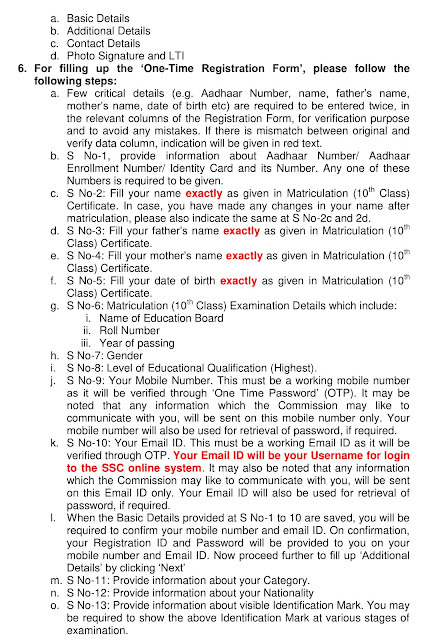 Candidates will not be allowed to make any changes in these fields after 18-10-2018. 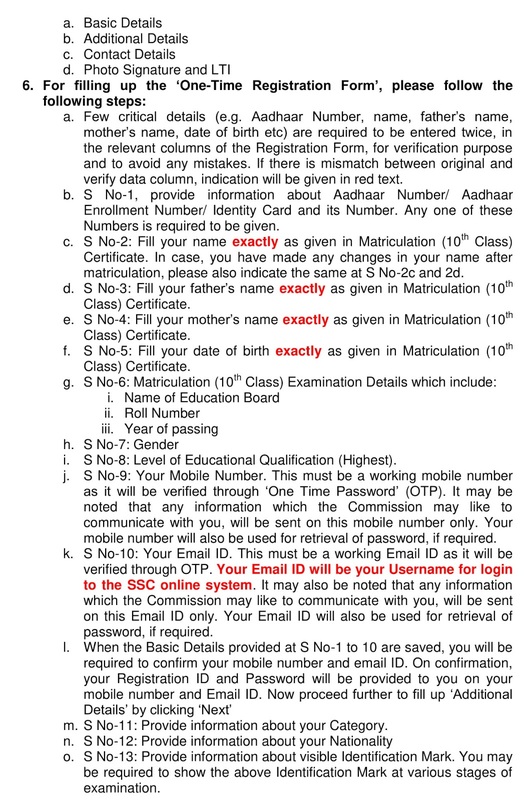 (i) Candidates who have not acquired the essential educational qualification as on 01.08.2018 will not be eligible and need not apply. 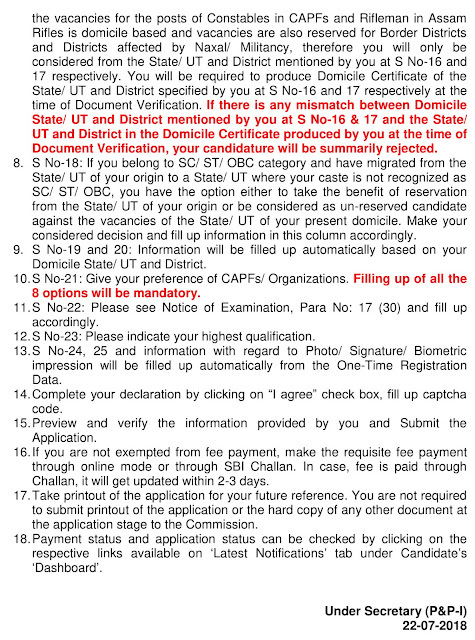 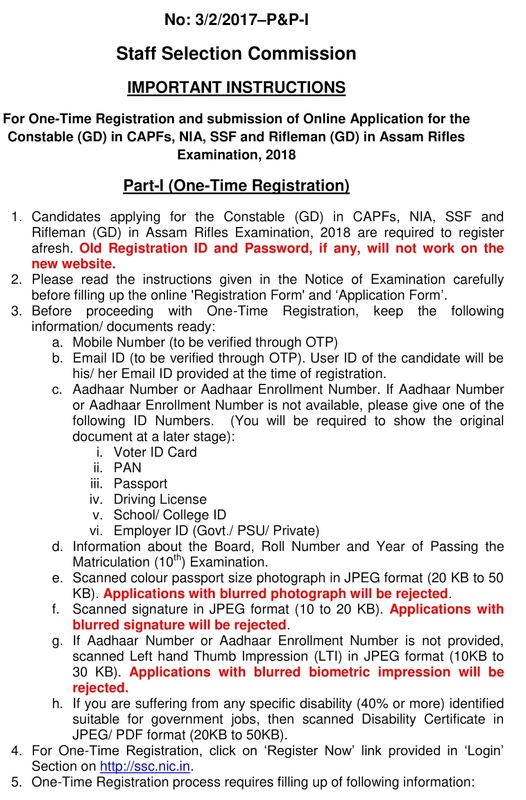 (ii) The candidates must bring all relevant documents/ certificates in original with self attested copies pertaining to age, education, caste, domicile, hill area, any category for relaxation, No Objection Certificate (NOC)/ discharge certificate (in case of ex-servicemen), which will be checked/ verified at the time of DME by CAPF Board. 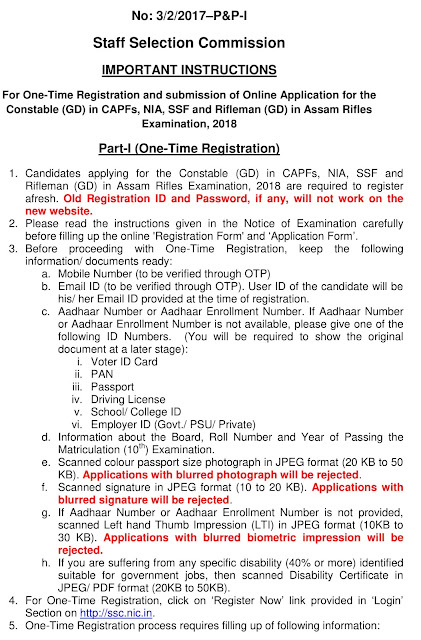 Important Notice for Candidates of SSC Constable (GD) Examination, 2018. 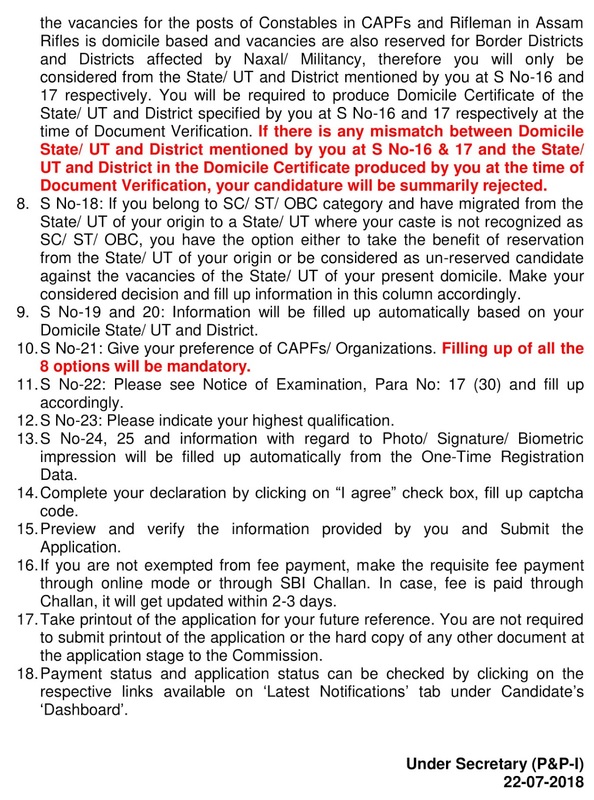 When will be Result Date?